EVENT GALLERY: One Giant Tent! This wedding called for a 50'x145' Jumbo Track tent for guest seating, 30'x50' frame tent for food service and a 20'x40' frame tent for the bar service. Walker-Lewis Rents also installed a 20'x21' all white dance floor along with staging for the head table and band. 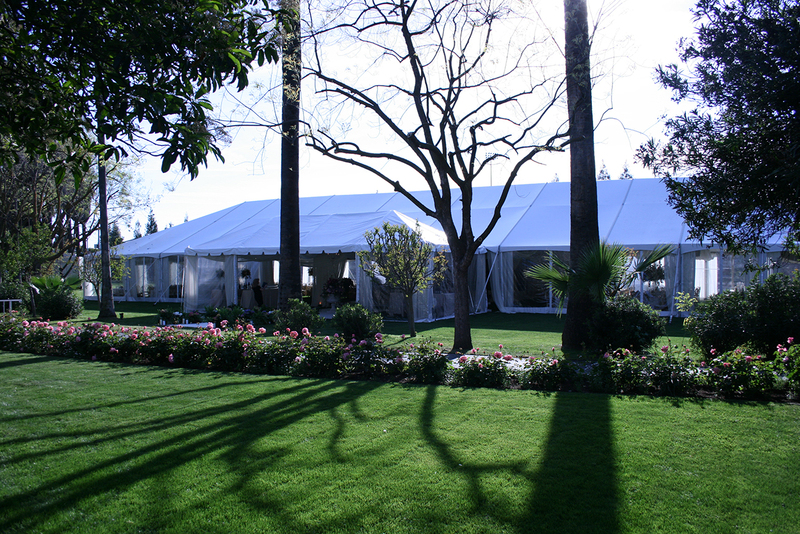 The wedding event for 250 guests was at a private residence in Fresno, CA.